Equipped with the 10m-deep Quay 1 Berth and the 7.5m-deep Quay 2 Berth. 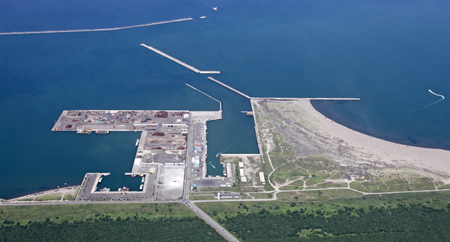 The East Wharf, which is a recycling base for all of Central Hokkaido, mainly processes metal scrap and construction aggregate such as sand and gravel. 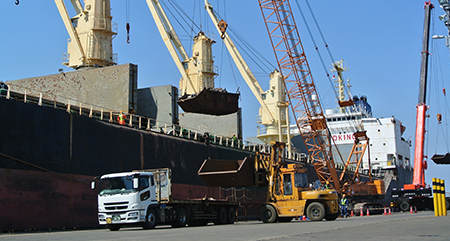 The metal scrap is exported overseas as a reusable resource. From this base, petroleum products such as LPG, kerosene, light oil and gasoline are received and supplied to Central Hokkaido via tanker trucks. 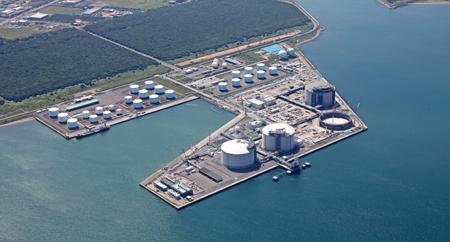 Hokkaido’s only liquefied natural gas (LNG) import base has also been established here. 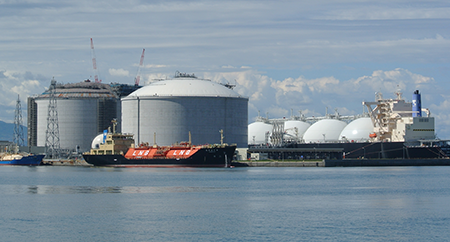 LNG is a raw material for municipal gas, and is distributed all over Hokkaido via tankers trucks and domestic vessels. Equipped with the 10m-deep Quay 3 Berth and the 7.5m-deep Quay 1 Berth. 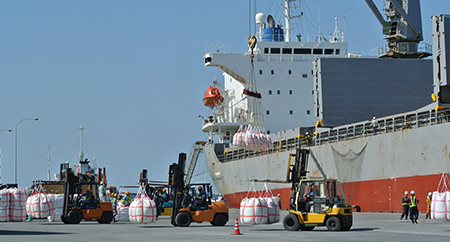 This zone is equipped with outlets for gantry cranes and reefer containers, and the freight handling zone has sheds containing fumigation and fixed temperature vaults. 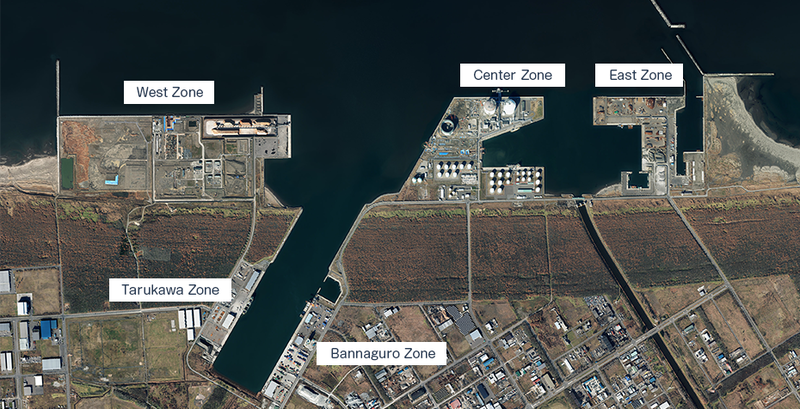 The Bannaguro Zone can also handle cement transportation since it has the biggest cement silo in Hokkaido. 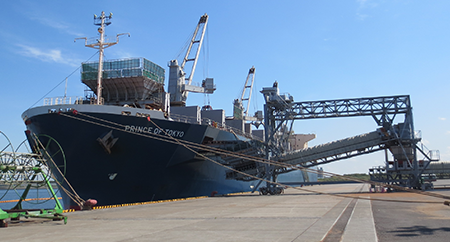 In the event of large-scale disaster, goods are urgently transported to the Sapporo area, so one berth on the 10m-deep quay has been reinforced to resist seismic activity. Equipped with the 10m-deep Quay 2 Berth and the 7.5m-deep Quay 3 Berth. 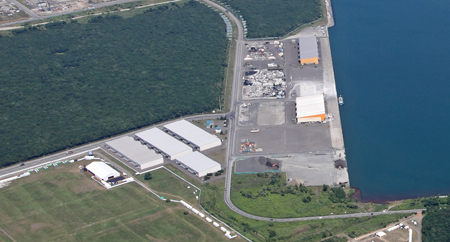 The freight handling area has two sheds and a truck scale, and handles a wide variety of goods including fishery products, rice and steel. 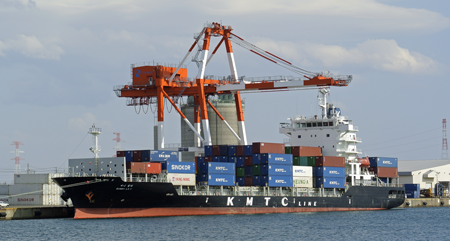 In addition, with north Japan’s biggest freezing and refrigeration warehouse and multiple food-related businesses operating to the back of the wharf, the Tarukawa Zone acts as a foodstuffs distribution base for the Sapporo area. 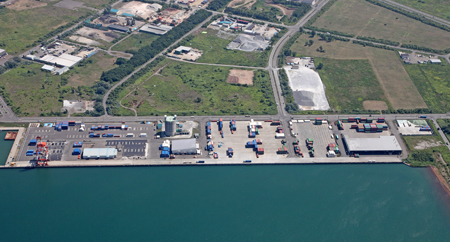 The 14m-deep, 280m extension Quay 1 Berth can accommodate ships as large as 50,000 tons. The zone’s extensive freight handling area can handle large-scale and high-volume freight including materials such as wood chip, the raw material in paper manufacturing. 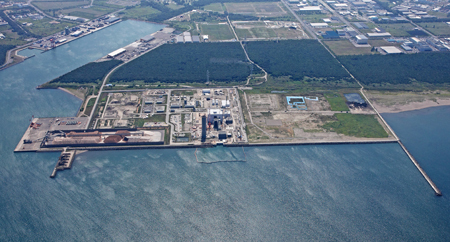 Hokkaido’s first LNG thermal power station is currently being built here.